Less than a week into training camp and rookie Michael Gallup is already turning heads in Oxnard. Gallup was the third-round out of Colorado state. Head coach Jason Garrett has already given the wide receiver some reps with the first team. On Sunday, Geraint Thomas became the first cyclist from Wales to win the Tour de France. Thomas finished nearly two minutes better than the second place rider: Tom Dumoulin. The MLB trade deadline is tomorrow and several more Rangers could be gone including Keona Kela. 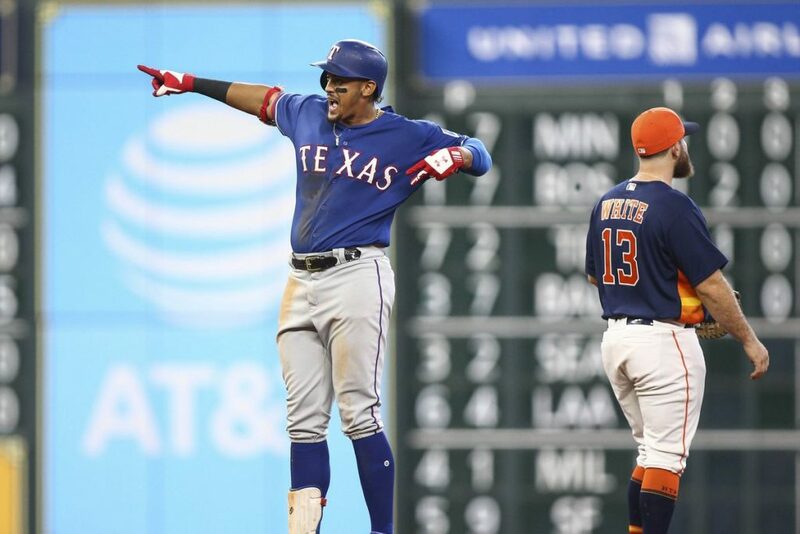 After being swept at home by the A’s the Rangers went to Houston this weekend and swept the Astros. They became the first team to sweep the world champs this year. Texas would go on to win 5-4. In the win, the Rangers tied the MLB record for the most strikeouts during a nine-inning game for the winning team. Texas struck out 19 times at the plate. Texas will start an inter-league series tonight in Arizona on 1490AM and 96.3FM KPLT. Pregame is at 8:00 pm with the first pitch at 8:40. Sean Newcomb came within one strike of pitching the first no-hitter by the Atlanta Braves since 1994, but he was denied when Chris Taylor sharply singled in a 4-1 Braves win over the Los Angeles Dodgers on Sunday. Newcomb had a 2-2 count with two outs in the ninth inning when Taylor hit a hard grounder beyond the reach of diving third baseman Johan Camargo. That came on the career-high 134th and final pitch by the 25-year-old lefty. So far, so good, for J.A. Happ, who made Brian Cashman look like a genius on Sunday. In his New York Yankees debut, the 35-year-old Happ allowed just three hits and a run in a strong, six-inning outing in the Yankees’ 6-3 win over the Kansas City Royals. The performance could be an early sign that New York’s search for starting pitching depth ultimately paid off. WWE Hall of Famer Nikolai Volkoff, real name Josip Nikolai Peruzovic, has died, WWE announced Sunday. He was 70. Peruzovic’s wife, Lynn, said Sunday that he has had heart problems and that when she went to give him his medicine he was not responsive. Peruzovic, who was inducted into the WWE Hall of Fame in 2005, was best known in the world of professional wrestling for his over-the-top Soviet/Russian character during his time in the World Wide Wrestling Federation, later the WWF, in the 1960s, ’70s, ’80s, and ’90s. In reality, Peruzovic was born in what was then Yugoslavia and now stands as part of Croatia.